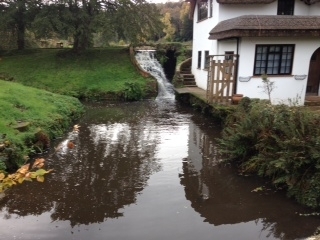 Our Surveyor saw this lovely old mill house adjacent to a private lake in Westcott near Dorking . It is extremely interesting to know how such a building is constructed particularly its foundations and whether the original builders were successful in preventing water penetration and subsequent dampness. At Brian Gale Surveyors we have the expertise and experience to carry out Full Building Surveys on this very type of historic and unusual property.